The Performing Arts is a transformative experience essential to a child’s wellbeing and development. Whether it’s drama, music or dance, we’ve got you covered with the best professional programs and stay-at-home fun! 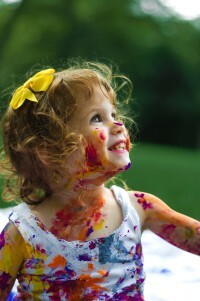 Extracurricular activities fill up the calendars of most school aged children these days. However, sport is usually the dominant feature over more creative pursuits. 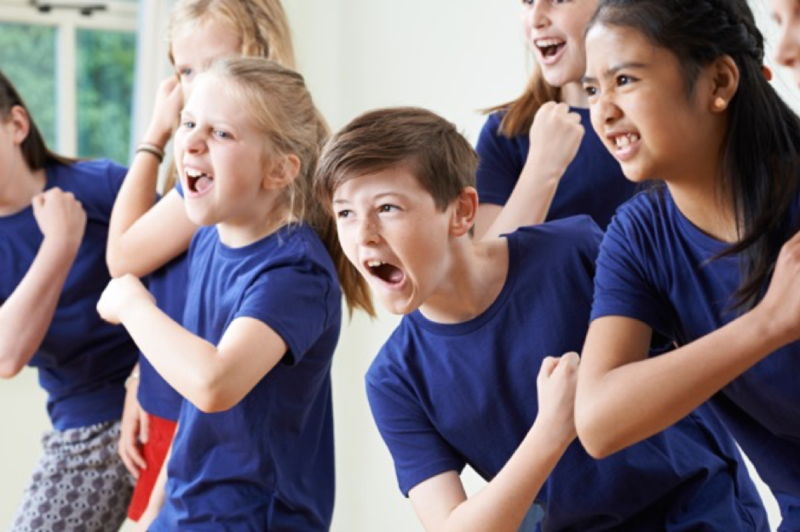 But did you know engaging in the Performing Arts, whether it be dance, drama or music has phenomenal benefits for kids’ wellbeing and development? If your child is shy and lacks confidence, introducing them to Performing Arts could be a life changing decision. The combination of a safe environment and engaging activities could be the trigger to bring them out of their shell. Performing Arts have the ability to provide kids with a wide variety of skills to set them up for life. It’s not about becoming a star or getting the leading role, it’s about stimulating the body and mind and the vast emotional, social and educational paybacks. Being a part of a performance process, exposes your child to new ways of thinking, moving, engaging and doing. 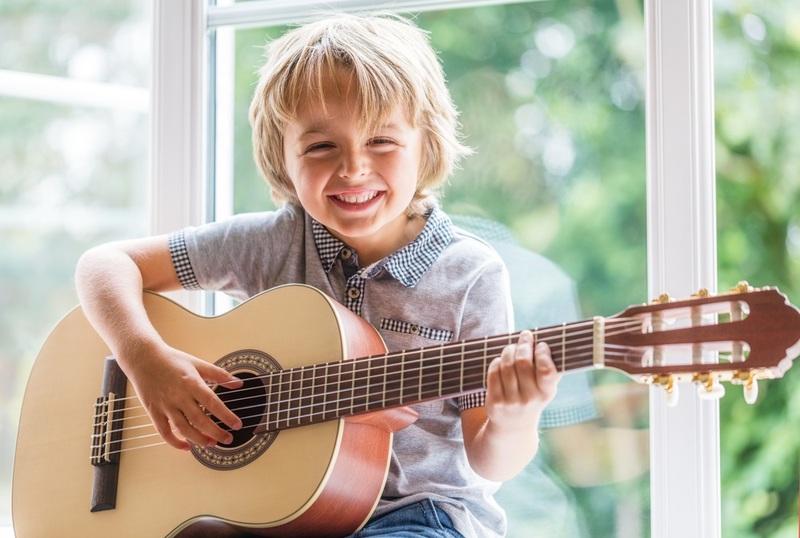 Research shows that children who sing, dance, act or play instruments are more likely to be recognised for academic achievement compared with their non-performing counterparts. It’s not about becoming a star or getting the leading role, it’s about stimulating the body and mind and the vast emotional, social and educational paybacks. 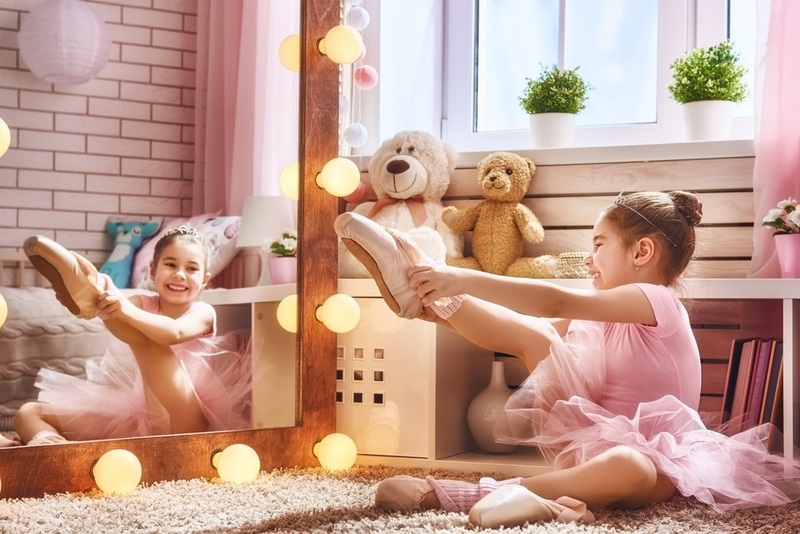 The safe environment of a class, as well as the opportunity to perform in front of an audience, will help bolster your child’s confidence and self-esteem. 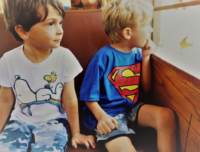 Children will make mistakes, we all do, but they will have the chance to practice and learn, and eventually succeed at a given task, generating immense feelings of pride, which can have a flow on effect to reducing anxiety and depression. Most creative activities require teamwork or some collaboration. This expands children’s skills in communication, conflict resolution, negotiation and empathy. By learning collaboration kids begin to see that their contributions have value even if they don’t have the biggest role. Through team work kids can learn to see things from different perspectives and understand the motivations, feelings and opinions of others. Learning an instrument or dance requires practice, patience and persistence. On the journey to success children learn the old anecdote ‘the show must go on’ when things don’t come together perfectly, and they may be required to accept constructive feedback, which will prove a vital skill in later life. Once the performance is complete the sense of accomplishment will drive perseverance in their next endeavour. The ability to listen, retain and contribute in a creative class demands a great deal of focus. Equally the core strength, coordination, flexibility and balance required across all performing art forms such as sitting with an instrument for extended periods or executing ballet are all skills that will help enormously when transferred to a school setting. But Performing Arts aren’t limited to music lessons and dance studios. Perth’s Fringe World Festival Director, Amber Hasler, says we just have to look at the expanding programs and performances drawing huge crowds to the 750 events that made up this year’s Fringe World, with genres from comedy to circus and cabaret acts to realise the endless options and opportunities available in today’s performing art scene. 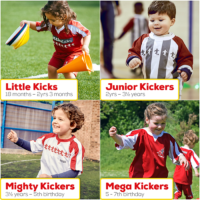 With so many possibilities and endless benefits it can be a daunting task finding the right activity for your child. Offspring has put together a guide to help you navigate the options. A dance class will introduce children to the notion of a troupe. It is a great way to increase connectivity with others. Dance is an expressive art form. It is active and a great way to improve fitness, body awareness, motor skills, strength, posture and flexibility. 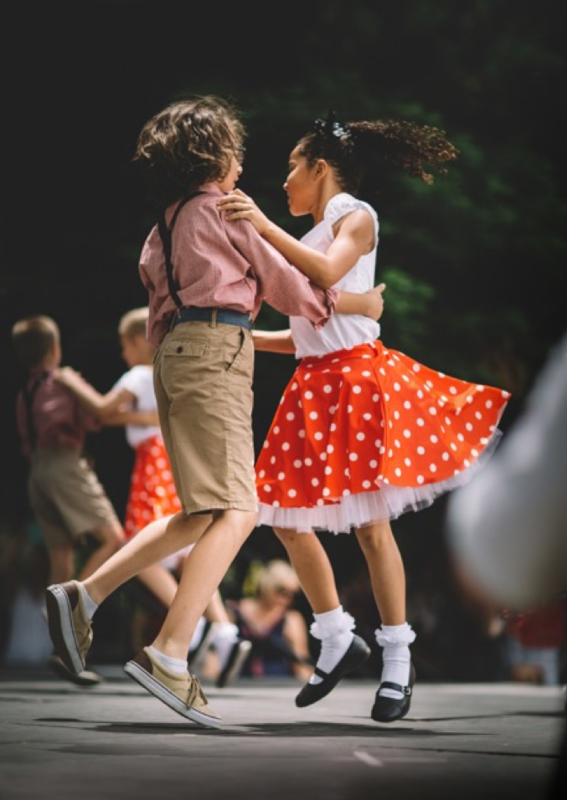 Dancing has recognised social and psychological advantages to a child’s development from problem solving and critical thinking to developing resilience and team work. For many dancers, the activity provides an outlet for emotions, stresses and an escape from daily life. A dance class will introduce children to the notion of a troupe. It’s not just you on stage but a larger group that is counting on you to do your part. The sense of responsibility and relying on peers gives an incredible sense of belonging. Most often dancers bond tightly together to develop a strong friendship set within their dance school. It is a great way to increase connectivity with others. 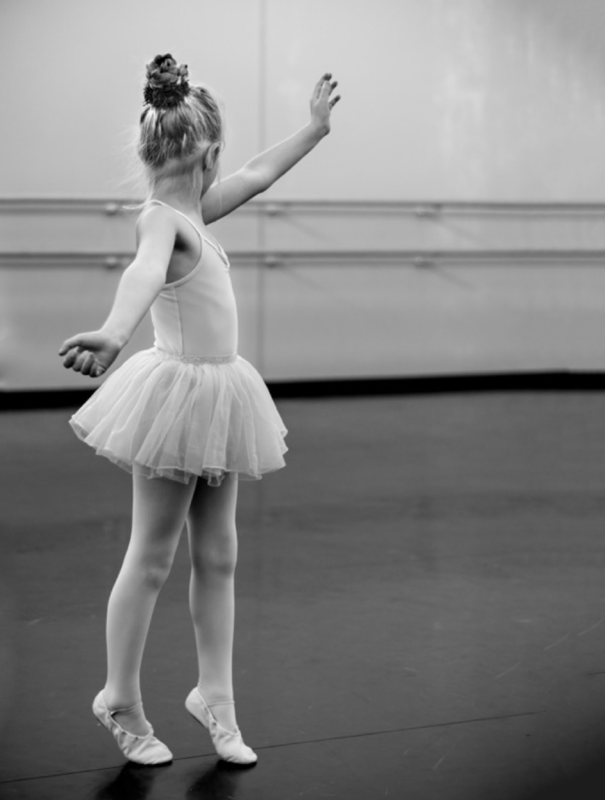 Many dance schools offer classes from toddlers to adults. 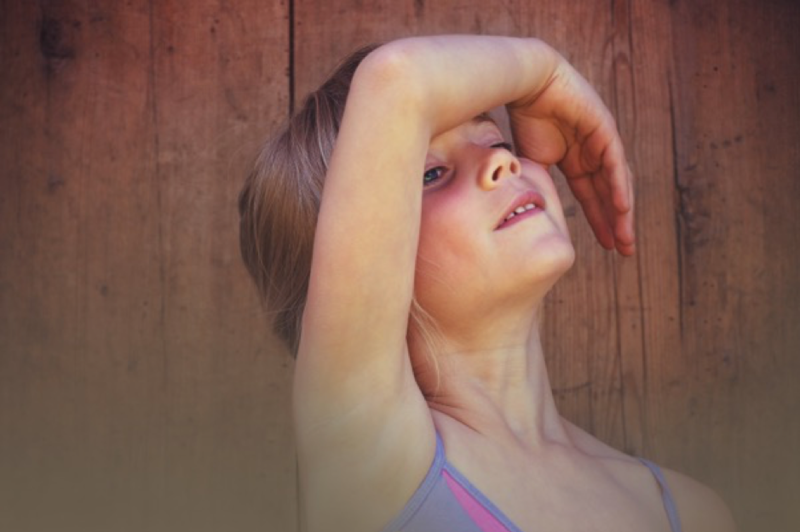 Dance classes focused on enjoyment and movement are perfect for little ones looking to burn off some energy. 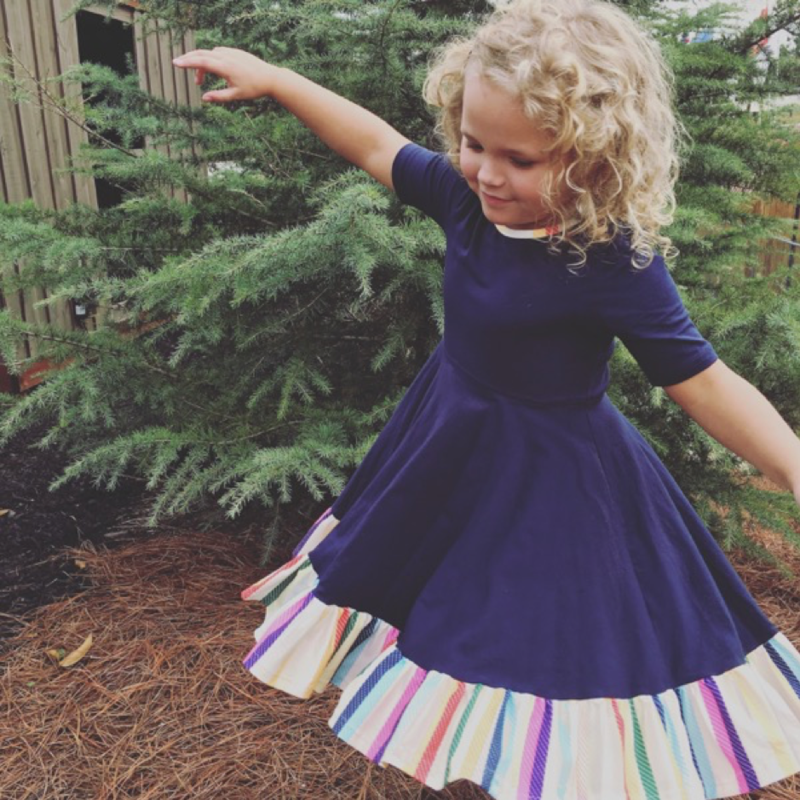 Lots of dance schools, recreation centres, day care centres, churches and community groups offer specific toddler classes where technique, routines and costumes are not so important. 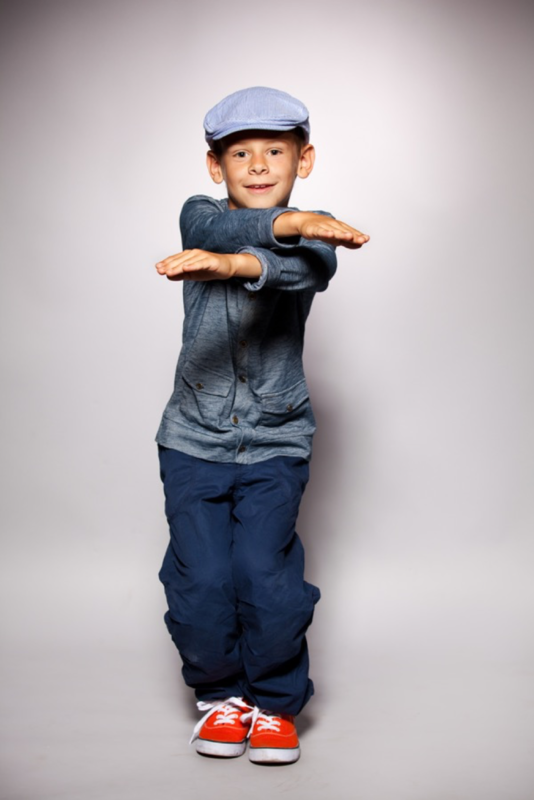 For older children looking for more structure and the opportunity to become involved in competitions, exams or concerts, there are many styles from which to choose including Ballet, Jazz, Tap, Contemporary, Acrobatics, Cheerleading and Hip Hop. Talk to your child about their interests, ask around for recommendations, visit a few studios and ask about trial classes. Drama puts children in exciting, funny, thought-provoking and interesting circumstances to expand their view of the world and the people within it. It is not just limited to stage shows but encompasses circus acts, illusions, puppetry and theatre sports. “Not every child that takes drama will become a famous actor, but they will walk away with the tools to speak in public and speak up for themselves. 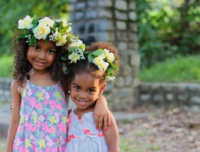 They don’t have to be the best, they just have to be involved,” Bronwyn Edinger, Director of Northern Sydney’s Glen Street Theatre told Offspring. Drama classes cover many skills including voice training, improvisation, role playing and creative movement. Drama, like dance, is suitable to a range of ages and abilities from three years through to adults. Many primary and high schools offer a drama program and some local youth centres provide opportunities to be involved in regular theatrical productions. Otherwise, ask around for recommendations of a good drama club. 1. Set up a box of dress-ups and props to help children create imaginative scenarios, include a large sheet to use as the stage curtain. 2. Create your very own sock puppets. Puppets are a great way for shy kids to engage. 3. Instead of simply reading a story with your child, why not role play and act it out? Music is a powerful form of expression. It has the ability to change moods and evoke emotional responses simply through sound. Your child doesn’t have to be a prodigy musician to get involved either, signing up for a choir or a band is a great place to start as it removes the pressure associated with solo instruction and performances.Most schools will have a choir your child can freely join. One of Australia’s most admired conductors, receiving an Order of Australia for his passionate advocacy of music education Richard Gill, believes physical education and arts education should book-end the Australian curriculum, with music being at the forefront, as early as possible in the life of a child. “The impact this type of education would have on children,with respect to creative thinking, imaginative problem solving, resulting in classrooms full of engaged and interested minds with the capacity to think, perceive, analyse and act upon ideas, would turn the educational decline on its head,” he said during a recent speech to the Collegiate of Specialist Music Educators. You don’t need to be a wonderful singer or musician to share music with a child, nor spend a lot of money on musical activities, with many local libraries or community groups offering free ‘rhyme time’ sessions to introduce babies and toddlers to rhymes, songs and instruments. 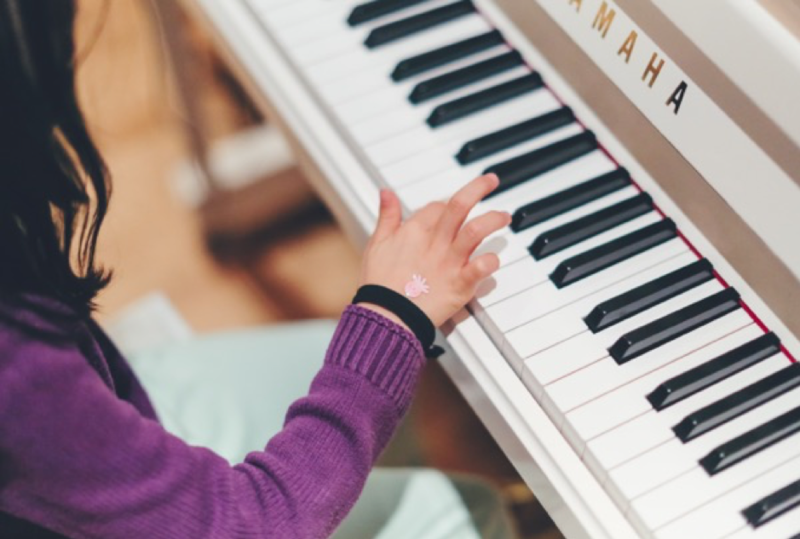 For older children, learning an instrument can teach perseverance, build self-esteem and assist with other school-based education such as reading and maths from learning to read music and count beats. Your child’s school might teach certain instruments or offer a music program. Otherwise word-of-mouth is always a great way to start looking for a teacher. If you are seeking private tuition check the qualifications of the teachers and find out costs, expectations and ensure they match your child’s desires, some will be more casual and others will expect participation in examinations and recitals. Ask about hiring instruments before committing, as some instruments are expensive and need a lot of practice and persistence. So How Do You Choose the Right Instrument? ✪ Piano is highly recommended as a child’s first instrument, it can be played as soon as a child can reach the keys and has enough strength to press them down. ✪ Recorder is a common choice in a school setting. It is cheap, children can play it easily and it provides a good introduction to making music. 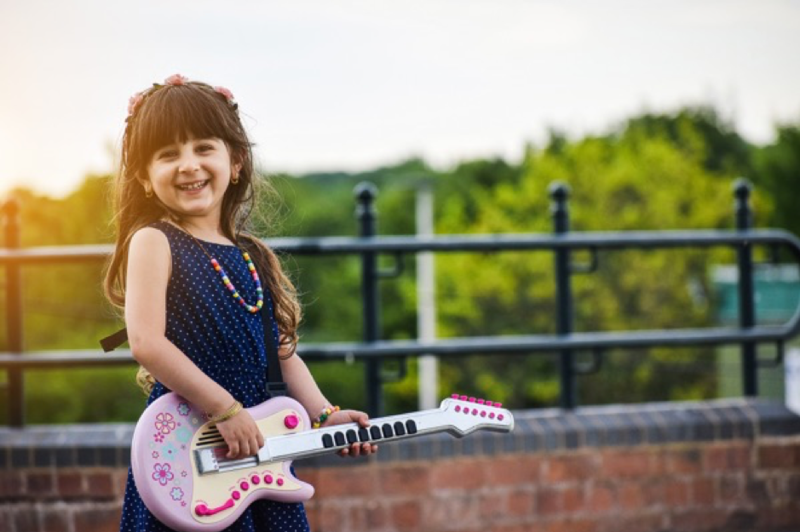 ✪ Stringed instruments often come in smaller sizes specifically for kids. Some children can handle a violin from the age of four. ✪ Wind and brass instruments should not be attempted before your child’s permanent teeth come in because of the pressure on the teeth when they are played, the actual size of the instrument, the lip strength required and the “puff” needed to make a noise. ✪ Drum and guitars tend to be a big favourite among kids. ✪ Singing is something that can be enjoyed at all ages, but it is best not to start learning formally until 9+ years. 1. Have the radio or music stream playing during the day instead of the TV. It will encourage you and your child to sing and dance along. 2. Construct your own musical instruments such as shakers, drums and cymbals from pots and pans, household and craft item. Not Keen on the Spotlight? ✪ A trip to the circus – there is nothing quite as awe inspiring as aerial acrobatics. ✪ A dance performance – seeing classical ballet at the theatre or a local dance school’s concert is a lively and colourful experience. ✪ A balloon twisting, puppet or magic show – the illusions will captivate your child’s imagination and open them to the possibilities within Performing Arts. Activities like these are easy to create at home. ✪ Normalise feelings of anxiety and remind your child, everyone, even adults feel nervous before going on stage. ✪ Talk your child through their worries and remind them of other moments when they felt anxious and things ended up being successful. ✪ Help your child calm their nerves by taking four or five long, deep breaths or counting backward from ten. ✪ A concert – there are many touring music acts for kids, teens or adults to provide a great shared experience. ✪ Local community events – whether it is the local choir or dance troupe, carolling, a drama production or an idol contest, there are often opportunities to see an array of performances in your own community.